This game is a DICE GAME. The dice has different fruits. 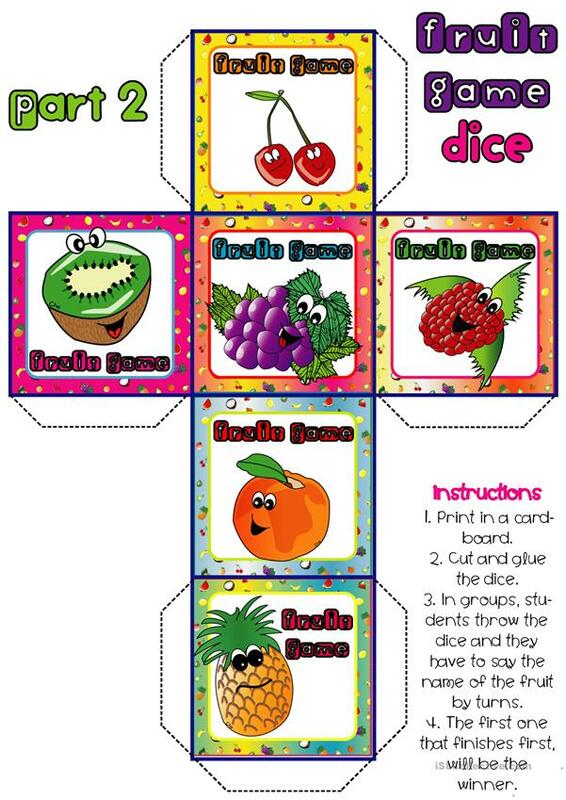 By turns, students throw the dice and say the name of a fruit. The student that finishes all the pictures first will be the winner! Have fun! The above downloadable handout was created for elementary school students, kindergartners and nursery school students and students with special educational needs, learning difficulties, e.g. dyslexia at Beginner (pre-A1) and Elementary (A1) level.